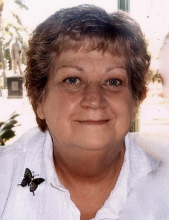 Anna L. "Tootie" Thompson, 79, of 228 Bend Hill Rd., Fredonia, (Delaware Twp. ), PA, passed away following a brief illness at 10:50 am on Sunday, March 24, 2019 at UPMC Hamot in Erie, PA.
She was born in Greenville, PA on October 9, 1939. Anna was a member of the Reynolds VFW Auxiliary Post 7599. She attended Hickory High School and worked as a housekeeper at Howard Johnson's in Mercer for 15 years. Anna enjoyed reading, boating, traveling, bowling, taking family vacations, and trips to the casino. She loved spending time with her family, especially her grandchildren. She was married to Robert L. Thompson on August 24, 1955 and he preceded her in death on March 21, 2012. Anna is survived by: two sons, Robert L. Thompson, Jr., and his wife, Debi, of Mercer, PA, and Richard L. Thompson of Harrisburg, PA; three daughters, Holly J. Hahn, and her husband, Jeff, of Greenville, PA, Dianna L. Stafford, and her husband, Jim, of Greenville, PA, and Michele L. Shearer, and her husband, Mike, of Greenville, PA; eleven grandchildren, Eileen Kelly, and her husband, Matt, Valorie Filer, and her husband, Chris, Tabatha Miller, and her husband, Ryan, Justin Stafford, and his wife, Kelly, Kelsey Mezzara, and her husband, Greg, Mark Thompson, and his wife, Alissa, Jon Thompson, Andy Thompson, Kyle Thompson, Michael Shearer, Jr., and his wife, Kimmie, and Kristen Shearer; eleven great grandchildren, Aedan Kelly, Sage Kelly, Brayden Filer, Madison Hahn, Morgan Hahn, Brady Miller, Jackson Miller, Daniel Mezzara, Rachel Mezzara, Madden Thompson, and Beckett Thompson; three sisters, Dorothy “Jacque" Strausser of Greenville, PA, Paula Shingledecker of Hermitage, PA, and Betty Zuschlag of Franklin, PA; and two brothers, Thomas Herron of Berwick, PA, and Paul Herron of Port St. Lucie, FL. In addition to her husband, she was preceded in death by: her father and stepmother, Thomas Chester and Shirley Herron, mother and stepfather, Pearl Louise and Hollis Stillings, two grandchildren, Keith Thompson and Todd Hahn, great granddaughter, Alaina Miller, and brother, David Herron. Visitation will be held on Wednesday, March 27, 2019, from 3:00 pm - 6:00 pm at Osborne-Williams Funeral Home & Cremation Services, Inc., 73-75 Columbia Ave., Greenville. A funeral service will be held at the funeral home at 11:00 am on Thursday, March 28, 2019, with Rev. Kenneth L. Saul, Associate Pastor of First Church of God in Greenville, officiating. Burial of the ashes will be held at a later date at Delaware Cemetery, Fredonia, PA.
To send flowers or a remembrance gift to the family of Anna L. "Tootie" Thompson, please visit our Tribute Store. "Email Address" would like to share the life celebration of Anna L. "Tootie" Thompson. Click on the "link" to go to share a favorite memory or leave a condolence message for the family.